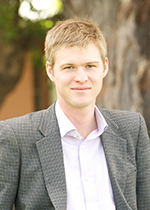 Brett M. Bennett is an Associate Professor in Modern History at Western Sydney University. He is also a Senior Research Association at the University of Johannesburg and a former Australian Research Council Postdoctoral Fellow (2011-2013). His research uses historical methods to investigate how the interaction of human actions and natural processes created contemporary ecosystems, scientific ideas, and conservation policies. Bennett is the author of Plantations and protected areas: a global history of forest management (Cambridge [MA]: The MIT Press, 2015), co-author with Frederick J. Kruger of Forestry and water conservation in South Africa: history, science, policy (Canberra: ANU Press, 2015), and co-author with Gregory Barton on the ARC-Funded book Saving the world the first time: ideas of climate change before global warming that is under contract with Reaktion Press. He has authored articles for a variety of leading international journals. This work has been featured in numerous national and international media outlets including The New Republic, ABC National Radio's The Science Show and Hindsight, The Australian, The Mail and Guardian (South Africa), and The Canberra Times. Bennett's ongoing research focuses on species introductions, the globalisation of protected areas, forestry for economic and social development, water conservation, and the history of globalisation in the British world. He is currently a Co-Chief Investigator on an ARC-Funded Discovery Project, The Crisis in International Heritage Conservation in an Age of Shifting Global Power (2014-2016). Bennett, BM & Barton, G (forthcoming, under contract), Saving the world the first time: ideas of climate change before global warming, Reaktion Press. Bennett, BM & Kruger, FJ 2015, Forestry and water conservation in South Africa: history, science, policy (opens in a new window), ANU Press, Canberra. Bennett, BM 2015, Plantations and protected areas: a global history of forest management (opens in a new window), The MIT Press, Cambridge, MA. Bennett, BM & Hodge, JM (eds) 2011, Science and empire: knowledge and networks of science across the British Empire 1800-1970, Basingstoke: Palgrave Macmillan. Bennett, BM 2013, 'Narratives of natural history: recovering lost lineages in Margaret Levyns' life-writing', in PL Arthur (ed. ), International life writing: recovering memories of social movements, Routledge, London & New York, pp. 51-66. Barton, GA & Bennett, BM 2013, 'The environment', in A Bashford & S Macintyre (eds), The Cambridge history of Australia, Cambridge University Press, Melbourne & Cambridge, pp. 452-71. Bennett, BM 2011, 'The consolidation and reconfiguration of "British" networks of science, 1800-1970', in BM Bennett & JM Hodge, Science and empire: knowledge and networks of science across the British Empire 1800-1970, Palgrave Macmillan, Basingstoke, pp. 30-44. Bennett, BM 2011, 'A networked approach to the origins of forestry education in India, 1855-1885', in BM Bennett & JM Hodge, Science and empire: knowledge and networks of science across the British Empire 1800-1970, Palgrave Macmillan, Basingstoke, pp. 68-88. Barton, GA & Bennett, BM 2011, 'A case study in the environmental history of gentlemanly capitalism: the battle between gentlemen teak merchants and state foresters in Burma and Siam, 1827-1901', in T Falola & E Brownell (eds), Africa, empire, and globalization: essays in honor of A.G. Hopkins (opens in a new window), Carolina Academic Press, Durham, pp. 317-32. Bennett, B 2017, '"If we go along with the mood of the moment, our books become tombstones in graveyards no one visits anymore": Interview with Tony Hopkins' (opens in a new window), Itinerario, vol. 41, no. 1, pp. 3-14. Bennett, B & Barton, G 2017, 'Generalizations in global history: dealing with diversity without losing the big picture' (opens in a new window), Itinerario, vol. 41, no. 1, pp. 15-25. Bennett, BM 2017, 'Decolonization, environmentalism and nationalism in Australia and South Africa' (opens in a new window), Itinerario, vol. 41, no. 1, pp. 27-50. Brett, BM 2015, 'Margaret Levyns and the decline of ecological liberalism in the Southwest Cape, 1890–1975', South African Historical Journal, vol. 67, no. 1, pp. 64-84. Brett, BM 2015, 'Forestry in reconstruction South Africa: imperial visions, colonial realities', Britain and the World, vol. 8, no. 2, pp. 225-245. Bennett, B 2014, 'Model invasions and the development of national concerns over invasive introduced trees: insights from South African history', Biological Invasions, vol. 16, no. 3, pp. 499-512. Dickie, I, van Wilgen, B, Bennett, B, Burrows, L, Nuñez, M, Peltzer, D, Porte, A, Richardson, D, Rejmánek, M & Rundel, P 2014, 'Conflicting values: ecosystem services and invasive tree management', Biological Invasions, vol. 16, no. 3, pp. 705-719. Bennett, B 2014, 'The origins of timber plantations in India', Agricultural History Review, vol. 62, no. 1 , pp. 98-118. Kruger, F & Bennett, B 2013, 'Wood and water: an historical assessment of South Africa's past and present forestry policies as they relate to water conservation', Transactions of the Royal Society of South Africa, vol. 68, no. 3, pp. 163-174. Bennett, B & Kruger, F 2013, 'Ecology, forestry and the debate over exotic trees in South Africa', Journal of Historical Geography, vol. 42, pp. 100-09. Bennett, BM 2013, 'The rise and demise of South Africa's first school of forestry' (opens in a new window), Environment and History, vol. 19, no. 1, pp. 63-85. Bennett, BM 2011, 'Naturalising Australian trees in South Africa: climate, exotics and experimentation', Journal of Southern African Studies, vol. 37, no. 2, pp. 265-80. Barton, GA & Bennett, BM 2011, 'Edward Harold Fulcher Swain's vision of forest modernity', Intellectual History Review, vol. 21, no. 2, pp. 135-50. Bennett, BM 2011, 'A global history of Australian trees' (opens in a new window), Journal of the History of Biology, vol. 44, no. 1, pp. 125-45. Bennett, BM 2010, 'The El Dorado of forestry: the eucalyptus in India, South Africa and Thailand, 1850-2000' (opens in a new window), International Review of Social History, vol. 55, no. 18, pp. 27-50. Barton, GA & Bennett, BM 2010, '"There is a pleasure in the pathless woods": the culture of forestry in British India' (opens in a new window), The British Scholar Journal, vol. 3, no. 2, pp. 219-34. Barton, GA & Bennett, BM 2010, 'Forestry as foreign policy: Anglo-Siamese relations and the origins of Britain's informal empire in the teak forests of Northern Siam, 1883-1925' (opens in a new window), Itinerario: International Journal of the History of European Expansion and Global Interaction, vol. 34, no. 2, 65-86. Bennett, BM 2009, 'An imperial, national and state debate: the rise and near fall of the Australian forestry school, 1927-1945' (opens in a new window), Environment and History, vol. 15, no. 2, pp. 217-44. Barton, GA & Bennett, BM 2008, 'Environmental conservation and deforestation in British India 1855-1947: a reinterpretation' (opens in a new window), Itinerario: International Journal of the History of European Expansion and Global Interaction, vol. 38, no. 2, pp. 83-104. Bennett, BM 2011, 'A contested past and present: Australian trees in South Africa' (opens in a new window), Social Science Research Council, 24 May. Bennett, BM 2010, 'Young guns hold their own against world's best', The Australian, 23 February, p. 41. Bennett, BM 2010, 'Reading the land: changing landscapes and the environmental history of South Africa', in M Godby, C Walker, S Klopper & BM Bennett (eds), The lie of the land: representations of the South African Landscape, Pinewood Studios, Cape Town, pp. 46-59. Bennett, BM 2010, Interview by Robyn Williams (opens in a new window), radio broadcast, ABC Radio's Science Show, 3 July. Bennett, BM 2010, 'Make a museum out of the former Australian forestry school building', The Canberra Times, 28 April, p. 11. Bennett, BM 2010, 'Thinking of moving abroad? How to begin applying for foreign jobs' (opens in a new window), Perspectives on History: The Newsmagazine of the American Historical Association, April, pp. 29-30. Bennett, BM 2010, 'Cuts are inevitable, so let's join the debate' (opens in a new window), Times Higher Education, 7 January, pp. 30.